The pesky Pattern Day Trader (PDT) Rule is what many traders often run into if they have an account less than 25k. 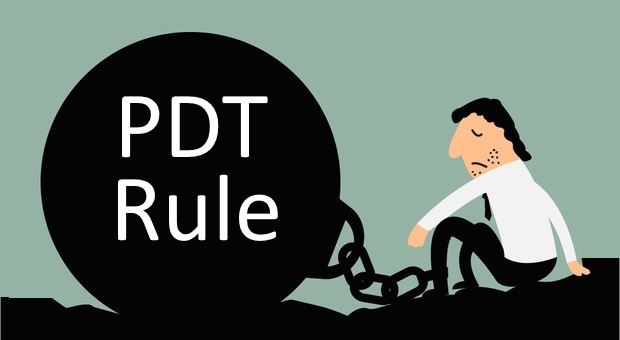 The PDT rule is what many new traders might encounter and basically restricts many traders from placing to many day trades. If you know what I am talking about, you most likely have gotten a message from your broker saying that you have been flagged as a pattern day trader or that if you execute a few more trades you will be flagged as one. The Pattern Day Trader Rule basically defines someone who executes 4 or more Day Trades within a 5 business day period. A trader who executes more than 4 day trades in this time is deemed to be exhibiting a ‘pattern’ of day trading and is thereafter subject to the PDT restrictions. If you are flagged as a pattern day trader, you must maintain at least $25,000 in your account on any day that they place a day trade. The rule applies only to trades with margin accounts and not cash accounts. If a pattern day trader falls below the $25,000 minimum equity requirement, the trader will be issued a margin call and have to up to five business days to bring the account to $25,000. If it is not met by the fifth business day, the account will be restricted to trading on a cash basis only for 90 days or until the equity is brought up to $25,000. If you have ever became frustrated with this rule, then there are a few ways to avoid it. Like many new traders, when I first began day trading, I had a smaller account and often ran into the PDT Rule. So, I opened up two brokerage accounts, one with Interactive Brokers and the other with Lightspeed Trading. I funded one account with $4,000 and the other with $4,000. And what I did was day trade with one account one day, and then the next day I used the other account for trading. While I was still somewhat restricted by the PDT if I executed a bunch of days trades in one day, I was still able to avoid the PDT rule by not trading too frequently. Also, by splitting up my accounts it also helped my risk management because it helped me avoid getting too big in one position. Suretrader is a brokerage based in the Bahamas. They are owned and operated by the same company that owns U.S. based SpeedTrader. Since the brokerage is based in the Bahamas, you can avoid the PDT rule it removes many of the regulations governing traders in the USA. You can day trade for as little as $2,000, instead of the normal 25k that is required to day trade in the USA. This makes it great for traders/investors with smaller accounts less than 25k that want to day trade and not worry about the Pattern day trader (PDT) rule. Proprietary trading firms, also known as prop firms is when a trader trades with a firm’s money. There are different types of prop firms. Some prop firms take on novice traders and give them education in the markets, while others only want experienced traders. Some may require an upfront deposit, such as $2,000 or more to begin trading and then give you leverage on that balance to trade stocks. In these situations, the firm and trader will enter into some kind of a profit-sharing agreement where the trader keeps a percentage of the gains and the other goes to the prop firm. Traders who trade with a prop firm are not subject to the Pattern Day Trader Rule, which is a great benefit of trading with a prop firm. If you want to day trade stocks but don’t have $25,000 in your trading account, this is a good alternative. Before trading with one, make sure you do your due diligence and find a reputable prop firm.